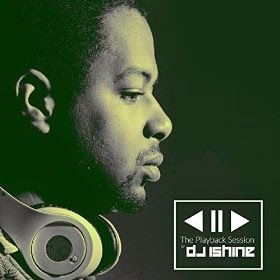 At the beginning of the month, I had the opportunity to feature Washington D.C.'s own DJ iShine, who is set to drop a new album, The Playback Session, next week! The Playback Session is a compilation album, which features some of DJ iShine's best work. Collaborations on the album include artists like: Jean P the MC, Thonio, DC King of Hearts, Raven Seiara, Ricky Ricardo and DJ Willie Beemen. The Playback Session will be available on Amazon and other online outlets on April 28! wherever you download or stream digital music. You can learn and listen to more from DJ iShine on his official website as well asSoundCloud. You can also connect with him on Facebook, Twitter, and Instagram.